Here’s yet another indicator trade tariffs are important for a stronger U.S. economy. Why? The manufacturing sector has suffered way too long. Donald Trump’s election prompted a surge in optimism for the economy and stock market, according to authoritative polls. The CNBC All-America Economic Survey said 74 percent of respondents are excited about economic prospects – the highest level since 2008. It said 56 percent of respondents now back the policies of Mr. Trump compared to 43 percent before his election. The increase in optimism stems from 91 percent of Republicans and 54 percent of independents and 23 percent of Democrats. When asked to name the No. 1 priority for Mr. Trump, 40 percent said keep jobs from going abroad. Consumer confidence also soared in another poll – the University of Michigan consumer confidence survey. You might recall Mr. Trump’s biggest support came from blue-collar workers. One reason for their support is clear. More than 33 percent of U.S. manufacturing workers and 50 percent of manufacturing workers hired through temporary agencies are on at least one welfare program. That’s according to research by the University of California, Berkeley’s Center for Labor Research and Education. The aggregate price tag to taxpayers is $10.2 billion. In 1991, 1 percent of manufacturing jobs was temporary. In 2016, it’s 9 percent. In median wages, temp workers make $10.88 an hour. Permanent jobs pay $15.03. 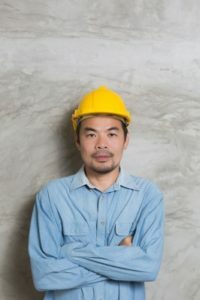 “Manufacturing has long been thought of as providing high-paying, middle-class work, but the reality is the production jobs are increasingly coming to resemble fast-food or Walmart jobs, especially for those workers employed through temporary staffing agencies,” says Ken Jacobs, chair of the Labor Center and co-author of the report. “While employment in manufacturing has started to grow again following the Great Recession, the new jobs created are less likely to be union and more likely to pay low wages,” he adds. Eight of the 10 states with the highest participation rates in public assistance programs that support frontline production workers’ families are in the American South; the other two states are New York and California. Mississippi has the highest participation rate, at 59 percent. This high use of public safety net programs by frontline manufacturing production workers is due to low wages, not limited work hours. The families of 32 percent of all manufacturing production workers, and 46 percent of those employed through staffing agencies who worked at least 35 hours a week and 45 weeks during the year, were enrolled in one or more public safety-net program. The obvious solution to the low-wage manufacturing-job and public-assistance situation: Grow the economy. Despite claims of Democrats and media pundits, President Obama is not leaving Mr. Trump an ideal economy. True, Mr. Obama assumed a financial crisis and recession. The unemployment rate was 10 percent and in his eight years 14 million jobs were created. But federal data shows a majority of jobs is only part-time. In the first 26 quarters of Mr. Obama’s recovery, the gross domestic product only increased an average 2.1 percent. President Reagan faced a much tougher situation than President Obama – a 10.8 percent unemployment rate, double-digit interest rates and a debilitating recession. But his policies led to 19 million jobs and fuller employment. Unlike the tepid Obama recovery, in the first 26 quarters of Mr. Reagan’s recovery, GDP exploded to an average 4.6 percent annually. Like President Reagan, Mr. Trump knows he has to clear a path for companies to invest and increase salaries. Decrease the business tax rate from 35 percent to 15 percent and will eliminate the corporate alternative minimum tax. Reform the regulatory code and revoke all over-reaching Obama executive orders that kill jobs but fail to enhance public safety. Implement cost-cutting measures and reduce the skyrocketing national debt. So far, the three strategies are working. Downward Revision of GDP Should Set off Alarm Bells — To gauge the health of America’s economy, the gross domestic product (GDP) is, of course, an important indicator. It’s been revised downward — again.